Previous studies have estimated that T. rex’s bite had a force of 8,000 to 13,400 Newtons, but given the size of the animal, thought to weigh more than 6,000kg, researchers suspected that its bite may have been more powerful than this. Liverpool scientists developed a computer model to reverse engineer the animal’s bite, a method that has previously been used to predict dinosaur running speeds. An animal’s bite force is largely determined by the size of the jaw muscles. Using their computer models, researchers tested a range of alternative muscle values, as it is not precisely known what the muscles of dinosaurs were like. 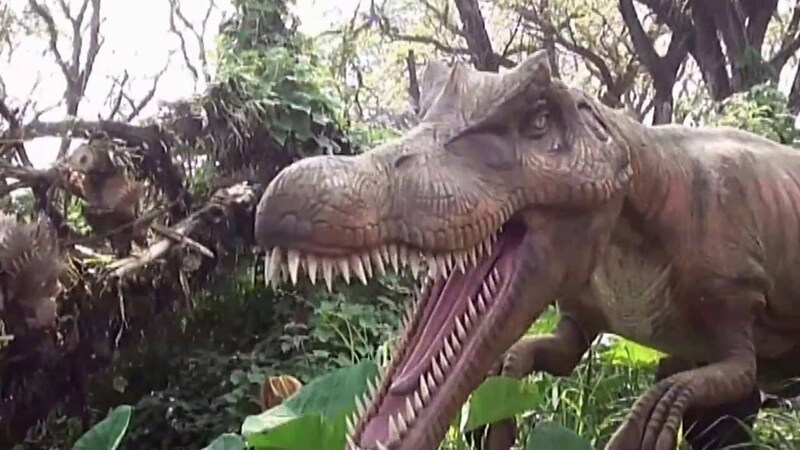 Even with error margins factored in, the computer model still showed that the T. rex had a more powerful bite than previously suggested. The smallest values predicted were around 20,000 Newtons, while the largest values were as high as 57,000 Newtons, which would be equivalent to the force of a medium sized elephant sitting down on the ground. Dr Karl Bates, from the University’s Department of Musculoskeletal Biology, said: “The power of the T. rex jaw has been a much debated topic over the years. Scientists only have the skeleton to work with, as muscle does not survive with the fossil, so we often have to rely on statistical analysis or qualitative comparisons to living animals, which differ greatly in size and shape from the giant enigmatic dinosaurs like T. rex. As these methods are somewhat indirect, it can be difficult to get an objective insight into how dinosaurs might have functioned and what they may or may not have been capable of in life. “To build on previous methods of analysis, we took what we knew about T. rex from its skeleton and built a computer model that incorporated the major anatomical and physiological factors that determine bite performance. We then asked the computer model to produce a bite so that we could measure the speed and force of it directly. We compared this to other animals of smaller body mass and also scaled up smaller animals to the size of T. rex to compare how powerful it was in relative terms.